The only way to get better at something is to practice, whether it’s playing a sport, playing a musical instrument, painting, writing, etc. However, the art of “practicing” can oftentimes seem boring or mundane to a child. They avoid it at all costs and dread when it’s finally time to sit down to play or paint or write. 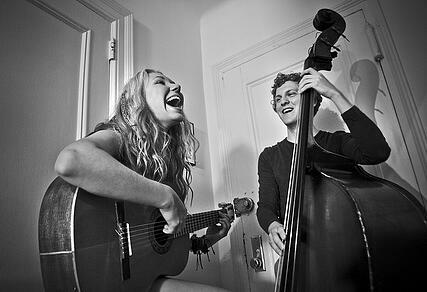 That’s why we’ve put together a list of ways to make music practice fun, which you’ll hopefully be able to apply to all practicing endeavors. Avoid pushing your dreams on your child. Is your child playing an instrument because they are genuinely interested in it? It will be much harder to get them to practice if they were never excited about it in the first place. Time of day. Some children have an easier time practicing their music in the morning than in the afternoon or evening. At the same time, others find the evening stimulating while any other time of day would result in a dull practice. Find what works for you and your family – when is your kid most naturally inclined to practice? o Set goals – It is very important to have well-defined goals. This way, your child will be productive with their time and also feel a sense of achievement in their practice. If you don’t have goals, your child is sure to move slowly – if at all – through their practices. o Short sessions – Of course, your kid can’t practice all day. Even if they could, it probably wouldn’t be healthy for them. Break the time they have to practice into short segments of 10-15 minutes – especially if they are used to practicing for at least an hour. This will help them stay focused and energized. o Balance the time – Great athletes all have set amounts of time for intense training and then they get breaks. Find the balance between focus and fun. This will be sure to make the most of your child’s time. Don’t treat it like a chore. If you view the practice time as a chore, so will your child. Avoid even saying the word “practice” if it makes them groan. Make it fun! Let your attitude be that they get to practice it – not have to. Don’t get discouraged. Frankly, if your child is a beginner, know that it is normal for them to be bad. 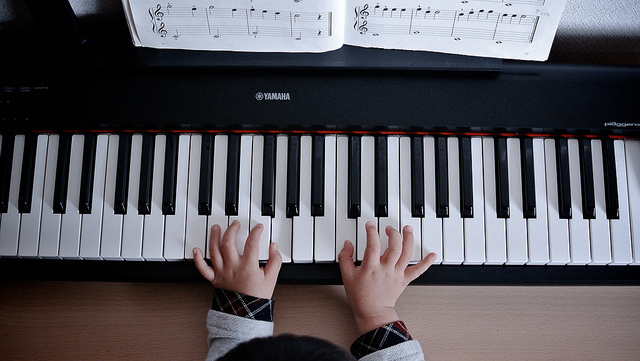 Most children do not sit down at the piano and play like Mozart. (And by “most,” I mean none.) It will take a regular routine of steady practice for them to start getting into a groove, which is important for your child to understand when they feel like giving up. Try to help them remember why they love music enough to try and play! Share your child’s success! Did they just learn a new song? Post it on Facebook! Not only will they love hearing the feedback, but it might inspire other kids to start playing, too! Be involved. This is the most common approach and probably an obvious one for most parents. Ask your kids to show you what they’ve learned so far, or just hang out in the same room while they practice. Sometimes practicing can get lonely, so simply keeping them company will help. Play in front of the TV. We know, it sounds crazy, but it has been known to work! Instead of sitting in a room by themselves practicing, they might as well make it entertaining. Rewards. Come up with a system of rewards to motivate your child. Maybe you’ll take them to get ice cream after a new song is learned, or help them earn tokens for a bigger prize later. Play games. Have your child check out this website. While it looks like regular games, they actually help kids learn key playing skills. Explore music. Listen frequently to the stuff your child loves and continue searching for new things! Go to musicals or buy CD’s – whatever you can do to keep your kid’s passion alive! In the end, remember that your child is the one who is going to make practicing happen. Teach them that you only get out what’s put in. Just remember to be careful in letting music be the top priority. Let it be a fun thing that you can enjoy together! What are ways you help your kids practice? Leave a comment down below.